There are a million little details that make every Cycle Oregon event unique. This volume will take you to the next level of planning – things you need to sign up for, a start on your packing plan and more. 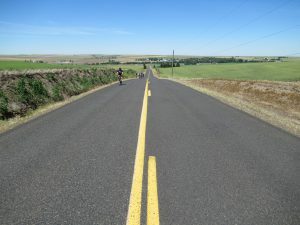 If you’re new to Cycle Oregon, it’s a great investment of your time to go over these details. Even if you’re a veteran, peruse the guide as a reminder of the things you’ll need to make your journey a great one. If you missed the first Ride Guide, take a look here. Take a look at our recommended packing list here and click here for some expert tips on packing. Gear Bag – One person = one bag. All your stuff goes in one bag, including camping gear and personal items. The gear bag that you bring to store your belongings should be waterproof and made of a sturdy material so that it holds up through the week. You can only bring one bag, and it cannot exceed 65 pounds. Do not latch items together as items get separated and volunteers may injure themselves on clasps. To conserve space in your bag, use wash buckets next to showers for washing out your cycling gear. Detergent is provided, hang dry. Also, mark your bag in some manner like a brightly colored ribbon or tape (don’t use pink, that’s how we know you’re riding the bus) to help distinguish it from the other 1,999. 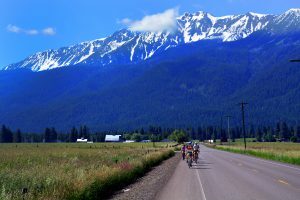 Weather on the Ride – September weather in the Pacific Northwest is usually beautiful, with average daily highs in the 70s and 80s and nightly lows from 30-45 degrees Fahrenheit. Bear in mind, however, that daytime temperatures could reach the upper 90s and plunge at night to the mid-20s. Be prepared for inclement weather — bring warm clothing and rain gear. For the Bike – A helmet is required, and we recommend the use of a rearview mirror. You also must bring two 20-oz. water bottles, minimum (or an equivalent hydration pack). Bring some simple tools with you such as tubes, tire levers, patch kit, and rag. While we do provide numbered labels for your bags, we suggest you attach your name and cell number as well. Baggage Pickup – Participants must pick up and deliver their own gear from the baggage trucks at each overnight camping area (except Tent & Porter). Truck trailers are color coded. Remember to note the trailer color in which you load your gear so you can locate it easily at the next site. Community Porters – Local volunteers are available to help carry bags from the trucks to the campsite and, again in the morning, from the campsite to the trucks. We encourage you to tip the porters ($2 per bag is suggested), as this benefits local volunteer groups. Baggage Truck Departure – Baggage must be loaded by 8:30 a.m. each morning and unloaded by 8 p.m. each night. Riders are responsible for getting their bags to and from the baggage trucks by the designated times. Make Your Bag Easy to Identify – Although you will receive a baggage ID tag to match your rider number, please mark your gear bag with additional personal identification tags. A distinctive tag, such as fluorescent tape or a colorful ribbon (don’t use pink, we use that for bus bags), will also help you locate your bag among the 1,999 others. This is an additional paid service. A 9′ x 7′ Cycle Oregon tent will set up for you at each location. You will get a tent number for the week with a corresponding sticker to put on your bag. The tent number and your rider number will be different – both stickers need to be on your bag. Leave your bag outside the tent in the morning when you are completely ready to leave. Do not leave items in your tent as we have two sets of tents for different locations. Tents fit one or two people (we will not assign you a tent-mate if you are solo). Tents are generally set up by 2 p.m. each day, marked with your tent number. Your bag will be waiting outside. We will reach out to T+P riders in early August regarding requests to get spots next to friends. However, we cannot absolutely guarantee that you will be next to each other at every location. As you start to think more about getting to and from the event, let’s review the two ways you can do that, and some details for each. Busses will depart from and return to the Sheraton Portland Airport Hotel. If you’re staying elsewhere, check with your lodging provider to see if they will shuttle you to the Sheraton. Directions – Directions will be included with your parking pass and in the third edition of the Ride Guide. Ship Your Bike – Don’t wait, make arrangements now! Ship your bike with BikeFlights.com to and from our event. Click here to get started. Be sure to click the Baker City link on their page to set the delivery address. Your bike will be shipped to a nearby FedEx location and delivered in advance of the event. Bike Gallery can assemble your bike after you arrive for $60. If you need your bike disassembled and boxed at ride’s end, the fee is $85. Sign up for both for $125. You can pre-pay for both services here until August 30th. 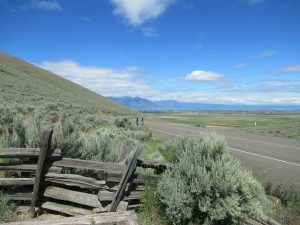 Check in and Packet Pick-Up – After your arrive in Baker City and have settled in, you’ll need to check in and pick up your rider packet. Each rider will be asked to sign the ride waiver and show ID when picking up their packet. The ride packet contains a wristband, bike number, baggage tag, and course maps. Please bring a photo ID to show the volunteers in order to receive your packet. The packets are given out in alphabetical order. Once we affix your wristband, it should not be removed unless you choose to leave the ride. Until you have checked in and are wearing a wristband, you will not be identified as a participant and will not have access to meals, course support, etc. If you leave the ride, it is important that you check in with Rider Services to let them know you are leaving. Friday // Sep 7 // 6 to 9 p.m.
Saturday // Sep 8 // 11 a.m. to 9 p.m.
Sunday // Sep 9 // 6 to 8 a.m. Arriving Early or Late – If you would like to arrive early this year, camping will be available at the site starting on Friday night. If you’re signed up for Tent + Porter Service, those tents will be up and ready to use on Friday night. No food will be available so you’ll need to go in to town to get what you need. We will be around, so find a Cycle Oregon staff member or volunteer if you have questions. The first meal served will be dinner on Saturday September 8th. If you arrive on Sunday, you must have your bag in the baggage truck by 8:30 a.m., as the trucks leave by 8:45 a.m. You can pick up your rider packet that morning at Rider Services. 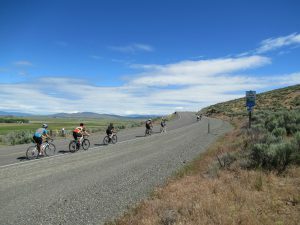 Cycle Oregon will provide three meals per day during the event. Both dinner and breakfast are served at the overnight site, and lunch is served only on the course. The first meal provided is dinner on Saturday, September 8th. The last meal is lunch on Saturday, September 15. Menus will be in the next edition of the Ride Guide. Breakfast: 5:30 – 8:30 a.m. Lunch: 9:30 a.m. – 2 p.m.
Dinner: 5 – 8 p.m.
Massage Services – Massage is one of the most popular services on Cycle Oregon. Massage appointments begin filling in May and June, so call ahead to be sure you get the times you want. Start with the Cycle Oregon Massage Team website, which lists individual therapists and their contact information. You can make appointments directly with your favorite therapist or sign up at the massage tent at each overnight site. Massage rates are $50 for a half-hour and $90 for a full hour. They accept VISA, MasterCard, check or cash. Yoga – Come be a part of the Yoga Kula to stretch out the muscles that get tight during cycling. These yoga classes will help you stay close to your breath this week. Not only will this help you feel better, but stretching can also help prevent injury. And you’ll meet other great people who like to do nice things for their bodies too. Mats are supplied on a first come, first served basis. Yoga will take place at 3:30 & 4:30 p.m. Sunday – Friday, locations will be posted at Rider Services during the ride. Device Charging and Bike Detailing – The mission at the Community Cycling Center is to broaden access to bicycling and its benefits. 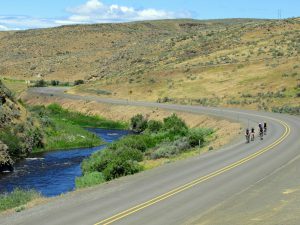 For the past sixteen years, they’ve helped you roll smoothly over breathtaking rural roads by offering bike detailing and electronics charging at Cycle Oregon. This year, they will continue to offer top-notch bike detailing performed by their skilled volunteers and electronics charging by solar and wind power! Services sell out quickly during the ride, so don’t miss the chance to pre-schedule your bike detail or weekly charge. Avoid the lines and sign up today! Charging Pass ($70): Good for one week, this charging pass allows you to charge multiple devices, one at a time. Extra one-time charges are available on-site for $5/each. Full Bicycle Detail ($95): Skilled volunteers clean all bike components to help your bike look and act like new. No mechanical adjustments are offered with this service. VIP Combo ($150): A full bicycle detail and week-long charging pass. VIP Combo Plus ($200): A full bicycle detail, a week-long charging pass and sponsorship of a child at the annual Holiday Bike Drive. Holiday Bike Drive sponsorship ($50): Your donation gets a child a refurbished bicycle, new helmet and safety training! Click here to book now. Questions? Contact [email protected] or call 503-288-8864. Musette Bag – Each rider gets a customized Cycle Oregon musette bag at check-in. (Repeat riders, bring yours and use it again!) You’ll be able to take the bag with you each day if you want (it folds down into a very small pocket packet) and use it at lunch. This change alone can eliminate more than 10,000 plastic bags from our week’s environmental footprint. Gear Drop – Each day, you will have the opportunity to drop unneeded clothing at the first Rest Stop and at lunch. To keep our disposable materials to a minimum, our Gear Drop team employs reusable nylon bags for gear drop each day. Event T-shirt – Each rider will receive a t-shirt for the Classic. In order to bolster sustainability on our event, Cycle Oregon partnered with Looptworks, an industry leader in low-impact design, to create our event t-shirts. Looptworks created the t-shirts out of premium textile industry excess that was destined to be landfilled or incinerated. Since they are made from what already exists, each shirt conserves the 400 gallons of water that are required to create a new cotton t-shirt. That’s almost a million gallons on the Classic alone! License Plates – At check in, we will have small license plates that you can decorate and affix to your saddle. Tell people your CO name, where you’re from or whatever you’d like. Passports – We will also have passports at check in. After each day’s ride, you can get yours stamped at Rider Services or the host community booth. Submitting Cancellations: Please submit cancellation requests to [email protected]. Please note we do not make exceptions in our cancellation policy (including family, medical or employment situations). Refunds will be processed through the credit card you used to register when possible. Please allow up to 30 days for processing. A $100 administrative fee will be assessed to your refund for each rider registration (including accompanying products – Tent & Porter, Bus Tickets, Parking). A $30 administrative fee will be assessed to your refund for cancelling only these services: Tent & Porter, Bus Tickets or Rider Guest Registration. There is no refund for cancelling only Parking. A $275 administrative fee will be assessed to your refund for each rider registration (including accompanying products – Tent & Porter, Bus Tickets, Parking). A $50 administrative fee will be assessed to your refund for cancelling only these services: Tent & Porter, Rider Guest Registration. A $75 administrative fee will be assessed to your refund for cancelling only Bus Tickets. There is no refund for cancelling only Parking. There are no refunds for cancellations after August 8, 2018. Sorry, no exceptions. We cannot offer transfers or credits for future events. Cycle Oregon may cancel or reroute an event due to the occurrence of any force majeure event or credible threat thereof, including but not limited to any Act of God, fire, earthquake, acts of civil or military authority, casualty, flood, war, terrorist attack, epidemic, insurrection, civil unrest, strikes or other labor activities or any other similar cause beyond the reasonable control of Cycle Oregon Inc., including environmental conditions that might threaten the health and safety of Event participants, volunteers or staff. 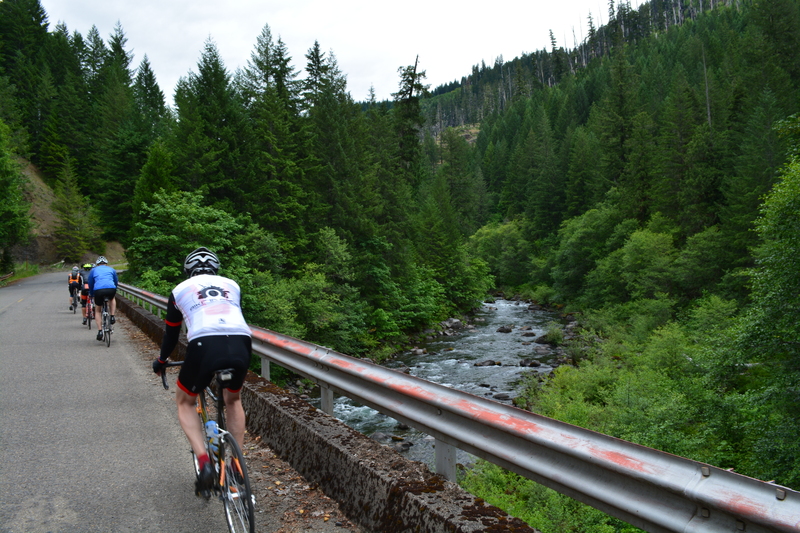 I understand and agree that my registration fees and other costs will not be refunded by Cycle Oregon, Inc. if all or any portion of a Cycle Oregon Event is cancelled or rerouted due to a force majeure event. I will release and hold Cycle Oregon Inc. harmless for any costs or damages incurred as result of cancellation or rerouting of a Cycle Oregon Event due to a force majeure event.